Plans to tunnel under Stonehenge are simply not cricket, says Tom Holland. He and fellow members of the Authors’ Cricket Club including William Fiennes, Anthony McGowan and captain Charlie Campbell, took their bats to Stonehenge this weekend for a protest match, #DontStumpStonehenge, against AveburyCC. It “could not have been more megalithically mid-summer”, Holland enthuses. “We were playing in the shadow of the neolithic earthworks that surround the stone circle and druids kept wandering by. Novelist Richard Beard scored a century & I, ahem ahem, demolished the stumps of their two openers”. 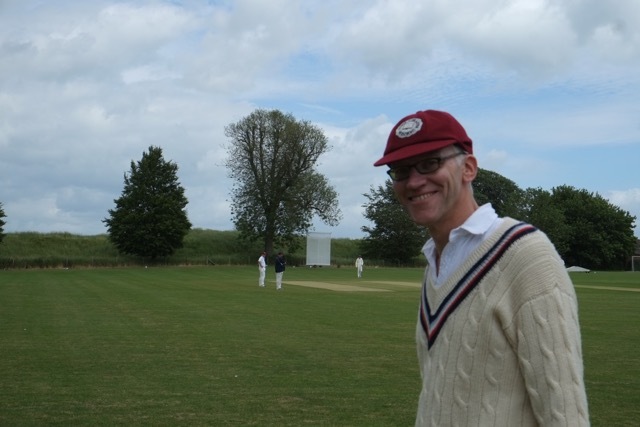 Sadly, without our chum Sebastian Faulks on the field – Holland “suspect[s] the druids had nobbled him” – the scribblers lost in the penultimate over by five wickets. Stonehenge & Avebury are inscribed together as a World Heritage Site.